When it’s too hot to cook, sometimes we cave in and get take out. That’s fine until we start going over budget which takes less trips than you think. But what if you could have convenience and save money too? I have 6 vegan crockpot recipes for you that will make you feel like you had take-out. Better yet, it cooks in your slow cooker all day while you’re at work so you come home to a ready to eat meal. Tell me what your favorite take out foods are in the comments and I’ll try to make a few recipes for you in the next few weeks. 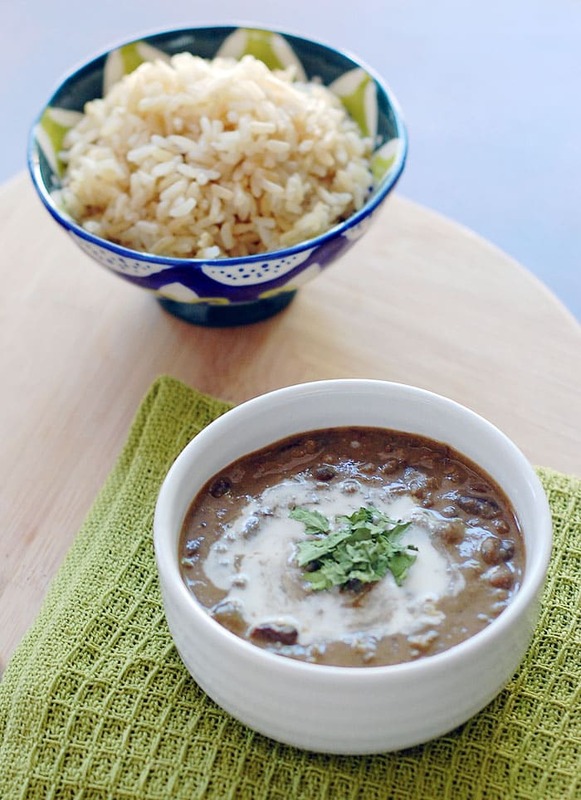 Indian food is my favorite to go out for and this easy Vegan Slow Cooker Creamy Indian Lentils and Kidney Beans is one of my go-to recipes. 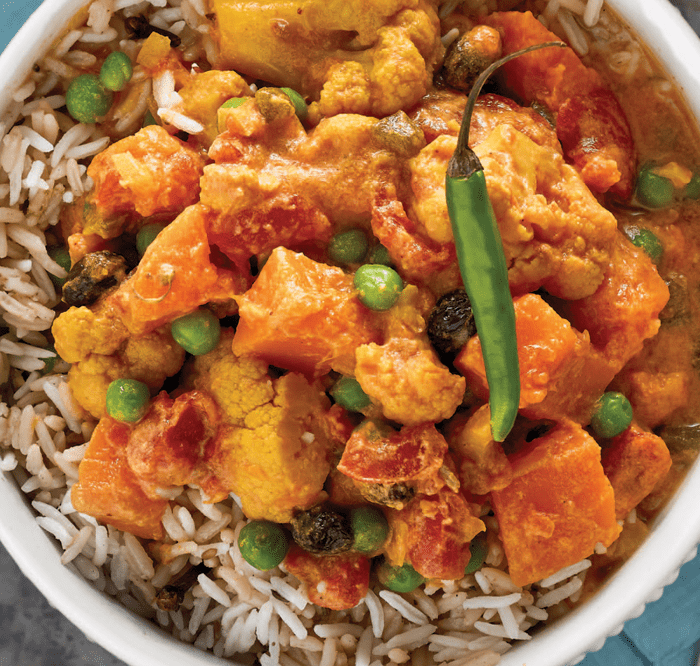 Pair the dal with this Slow Cooker Navratan Korma, from Vegan Slow Cooking for Two, and you have an Indian Feast. It will also cost less than going to a nice Indian restaurant. 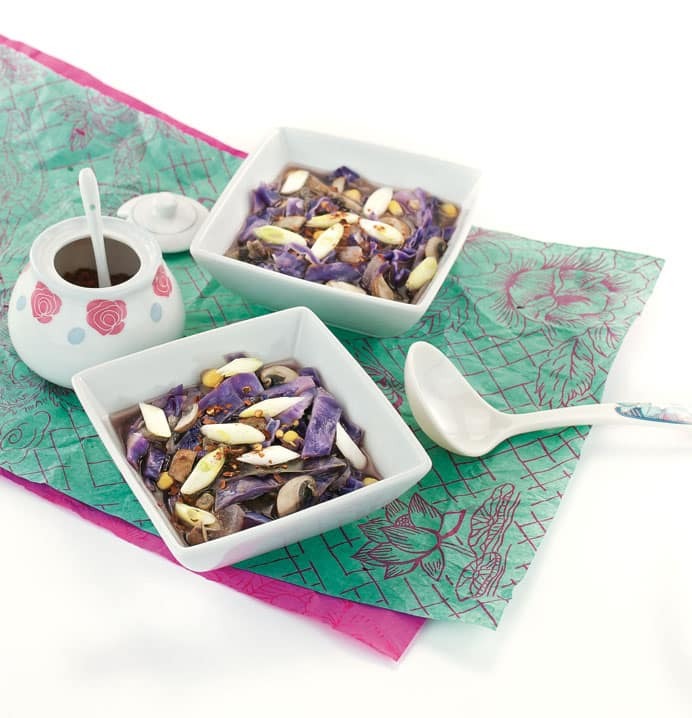 You can also get more of my Indian inspired recipes here. Craving Asian food? Start with this Corn Cabbage Soup from The Easy Vegan Cookbook. You can have it as a light meal, and it’s great if you have some fresh corn from your CSA. You could pair it with Vegan Instant Pot Asian Steamed Dumplings. If you do make the dumplings the night before, start the soup cooking in the morning, then steam the dumplings when you get home either on the stove or in your Instant Pot. 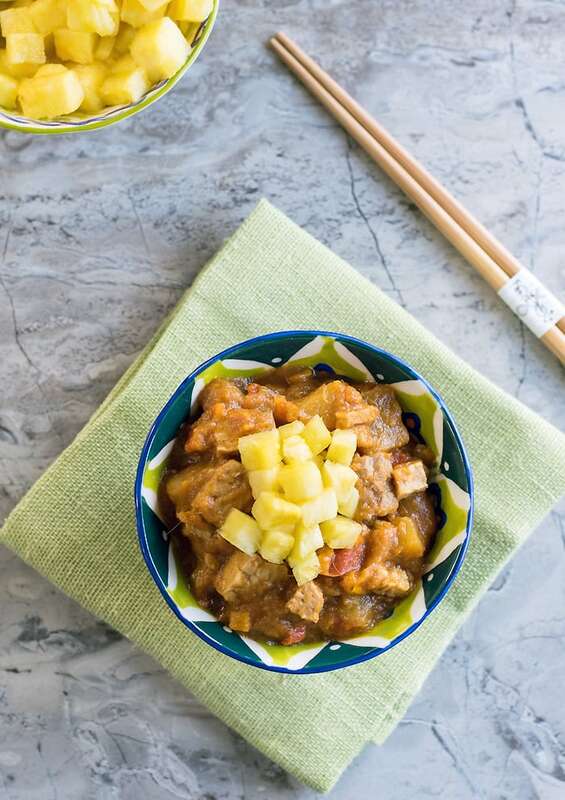 I don’t know about you, but I always get a craving for Slow Cooker Vegan Sweet and Sour Tempeh. It’s so easy to make, and it’s only sweetened with pineapple! If you have 2 slow cookers I recommend making the Slow Cooker Hot and Sour Soup to go with it too. Maybe it’s Mexican you’re thinking of. 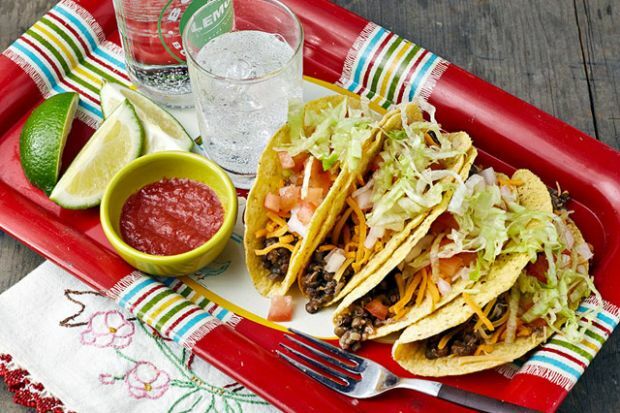 HSC’s most popular post for Slow Cooker Lentil-Quinoa Tacos has you covered. You could serve them with a side of slow cooker not-refried black beans. I have to tell you that I am all about this Slow Cooker Mole Mushroom Taco Filling. I have discovered cooking with dried chilies, and there’s no turning back. 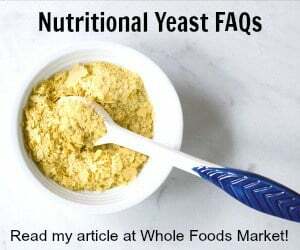 Use it in tacos, huaraches, on nachos or even scrambled with some tofu. Yum! Serve some slow cooker butternut squash frijoles on the side to impress your friends. Homemade take-out is always a winner in my book! The lentil dal looks quite tasty! What a great idea for a post! Yes, winter just makes you want to cozy up doesn’t it? I do love going out but staying in and saving money sometimes is where its at! What a great collection of recipes! 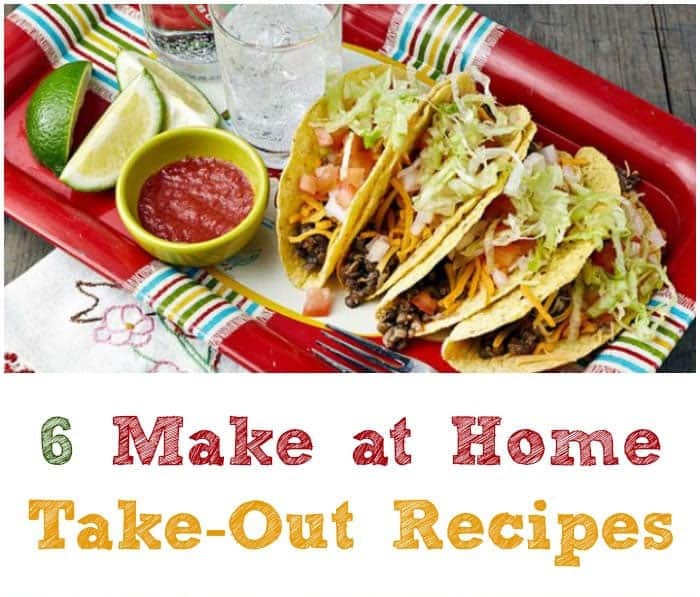 I love your idea of “take-out” at home. Thank you! It all looks so good I’d like to book a flight and come to a class. What a pity i can’t! Kathy you need to move to UK!!! I would love to come to one of your classes!!! I would love to come to the UK to teach!! I love all the ethnic food. That is how we like to eat – food from all around the world. I love this, take out is so expensive and typically not good for you. These are some great alternatives! What a wide variety of yummy looking food. Just had Dal Makhani for dinner and its my favorite. Never tried it in a slow cooker though because I don’t own one. Your classes sound so useful. Making nut milks seems very advanced! Would love to try sometime. These all look so tasty! 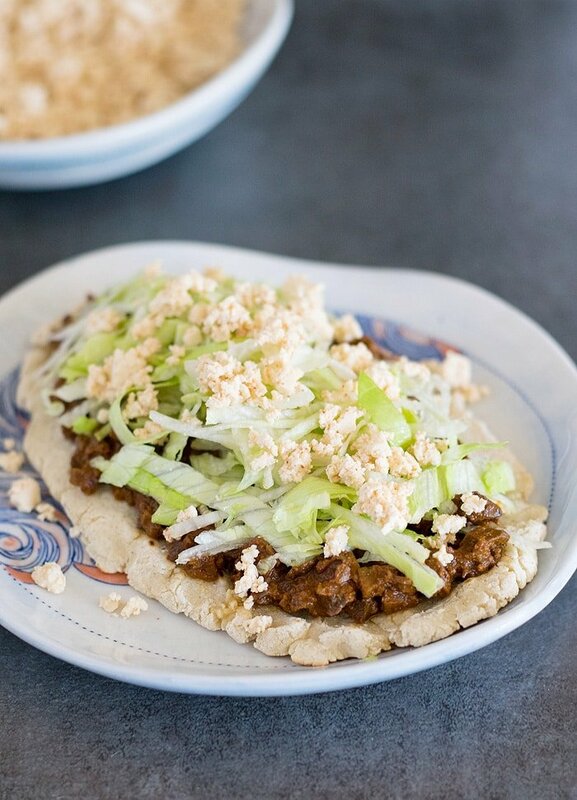 That slow cooker mole mushroom taco looks so filling, nutritious, and yummy! Thank you for so many different, healthier take-out alternatives! Wow, these are great recipes. Thanks for the delicious ideas! How exciting and such fun! How fun that you are teaching a class! Love it! 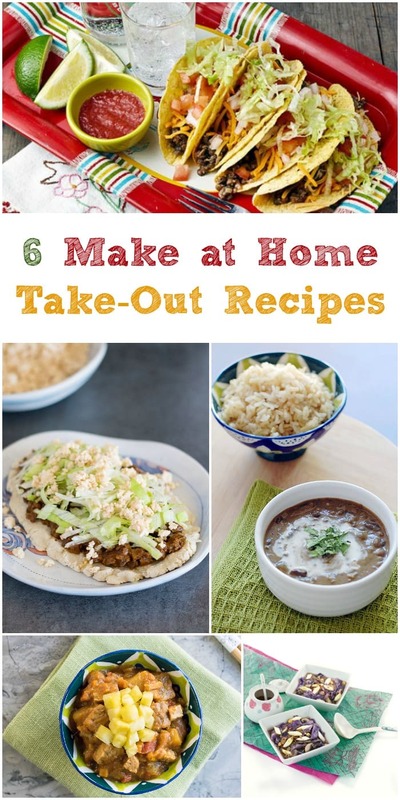 And making “take-out” at home is always a good idea!! What lovely recipes! I want to make all of this. Love that you are teaching a class. Sounds like so much fun! What a great collection! 🙂 These all look so good! Congrats on the class! They’re lucky to have a great vegan teacher like you! These recipes are all making me hungry and inspiring me to play with the slow cooker I got for Christmas! Congrats on your class, so exciting! And all this food looks so good and I’m drooling!